Each team must belong to a club. Before adding teams to your database you should ensure that clubs have been set up. 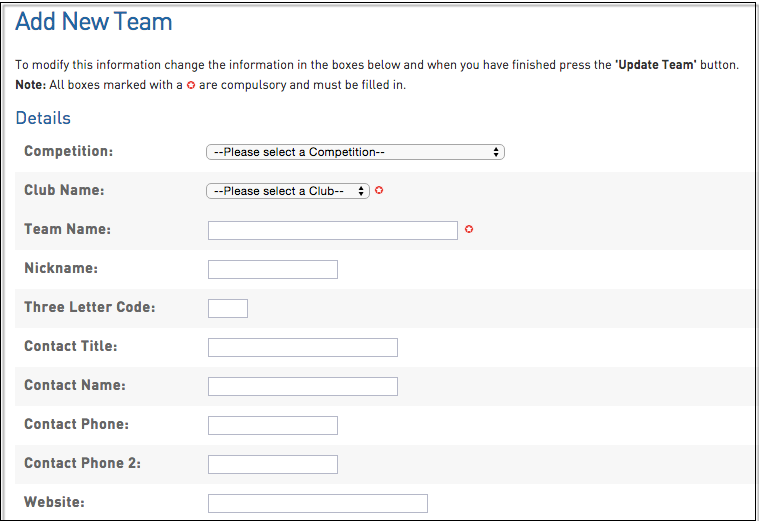 For associations/ competitions that do not have clubs, we suggest assigning your teams to a generic club - eg. 'General Club'. Once teams have been added to the database you can then proceed to add them to competitions. Associations and clubs can both add teams to the database, however the association can disable the ability of its clubs to add new teams through Configuration > Permissions. 1. From the association or club level of the database, click on Teams in the top menu. 2. The list of teams will appear. If you wish, you can use the 'Showing - Season' filter to show all teams in that particular competition season or the 'Age Group' filter to show all teams in a particular age group. 3. Click on Add in the top right corner. 5. 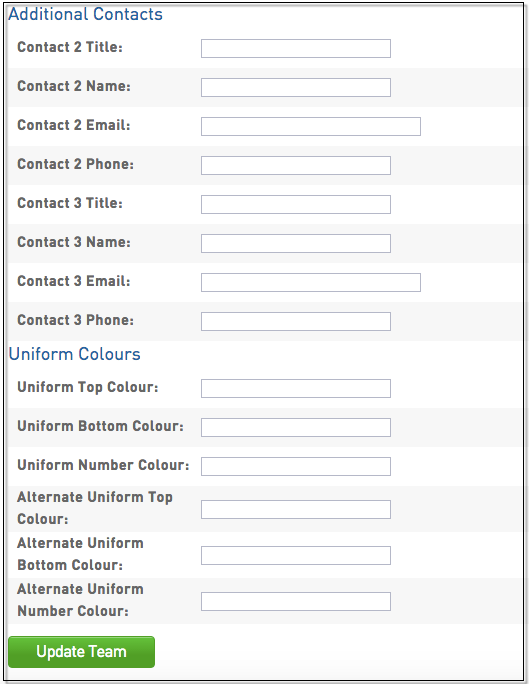 Enter Uniform Colours and Venue & Time Preferences which will apply upon fixture generation. 6. Click on Update Team. 7. A message will appear confirming the successful creation of the new team.